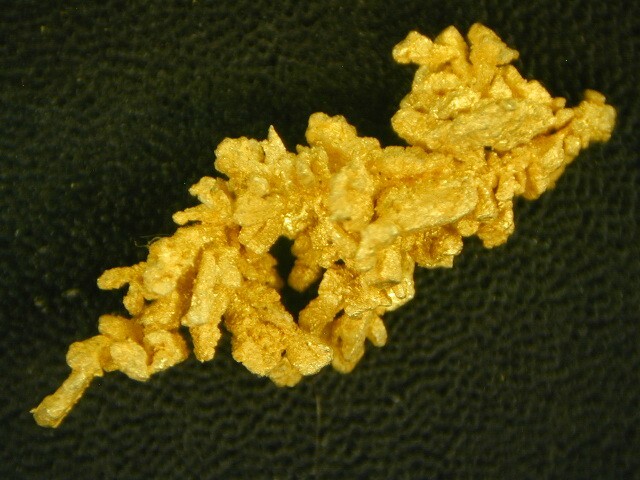 Dendritic Crystalline Gold Nugget - Round Mountain - - It's Free! Absolutely Gorgeous Gold Nugget Crystal Specimen from the Round Mountain Mine in Nevada. 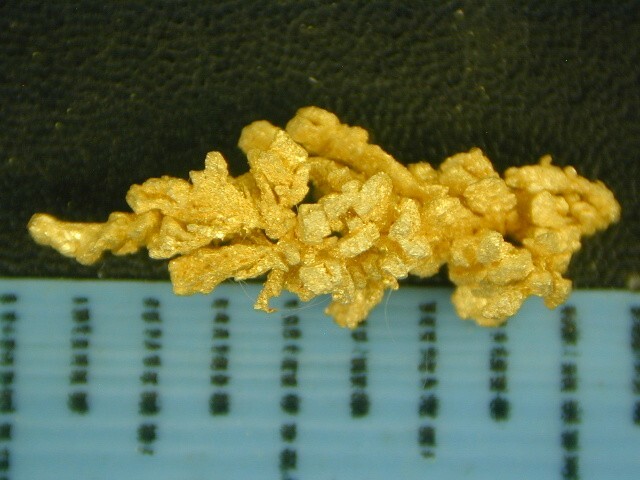 In this one gold specimen you see dendritic leaf type formations composed of a mass of gold crystals. It is very unique and rare. It is over 1/2" long. An awesome specimen of crystalized gold. Displayed in a round plastic gem jar, ready for your gold nugget collection.